Russia’s involvement in Syria has caused a flurry of cold war-style, ‘Assad/ISIS co-dependency’ propaganda – all being produced by the usual suspects and all with the primary objective of invoking a No Fly Zone in Syria and stoking the “Russian Bear threat” fires that have been smouldering for some time. The term “moderate rebels” has become one of the most significant misnomers (by now, a running joke in international intelligence circles) of this soon-to-be five year conflict. The hijacking of any semblance of a legitimate opposition to the Syrian Government by NATO, the US and regional allies including Israel in order to achieve their desired regime change – has been well documented. Who are these elusive “moderate rebels”? You may well ask. Traditionally it is the US-backed “Free Syria Army” (FSA) which has long been marketed as the cuddly, viable alternative to the duly elected government led by President Bashar al Assad – which incidentally is the internationally recognised (outside of Washington and London) official government of Syria, supported by the majority of the Syrian people. Recent polls place Assad’s popularity at around 80%. Unfortunately, we don’t have to dig too deep to reveal the hard-line Islamist, Salafi affiliations of this so-called ‘moderate’ group of brigands. This map below clearly shows the weakness of this “moderate rebel” argument as it unequivocally demonstrates the minor FSA presence at the frontline of Syrian opposition. 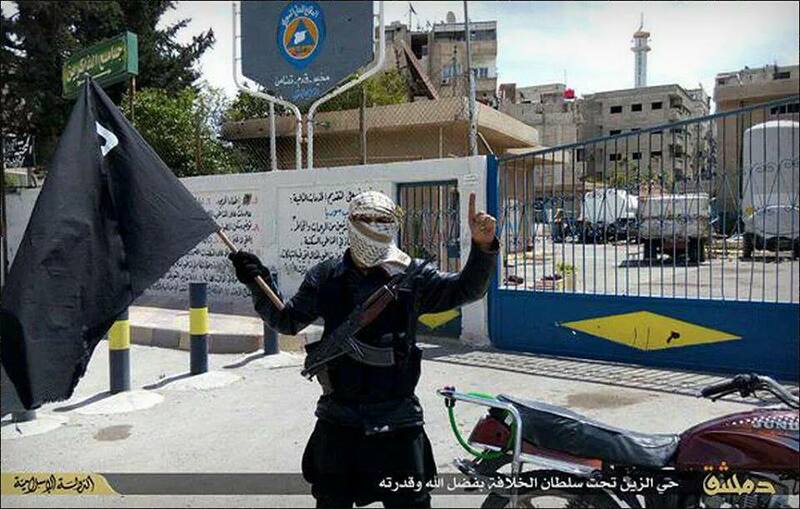 They compose of fragmented mercenary groups largely unable to operate without extremist logistical support. So this rather dispels the “moderate” myth and leads to the conclusion that, in reality, Russia was targeting areas north of Homs that contained very few civilians and is an area controlled by a dangerous conclave of militant fighting groups that include the Muslim Brotherhood, Jabhat al Nusra, and other Jihadist opposition fighters supported by the US alliance. Despite Carter’s pleas, the opposite seems to be true. Russia is effectively exposing US policy in Syria as naked hegemony, and America is not happy. While the US has been supplying TOW missiles and a variety of arms/equipment to extremists and deliberately funding any group that will secure regime change, Russia is actively deploying its military to target the nests of terrorist mercenaries and opportunists waiting eagerly for the political vacuum that would be created by the “removal” of Assad, in order to inflict their extremism upon the Syrian people. They may not be technically called ISIS but they are cut from the same cloth of US/Israeli proxy terrorism and should be eliminated from any sovereign nation. Failure to do so has catastrophic results as seen in Libya and Iraq. As soon as Russia launched its first airstrike against terrorist positions this week, the western media immediately piled-in with disinformation, in an attempt to demonize their efforts to support the Syrian government’s own 4 year-long war on terror. Now let’s examine the unsavoury marketing aspect of the propaganda campaign being waged by a frustrated and increasingly infuriated US alliance. Of course the usual triad has leapt into action. 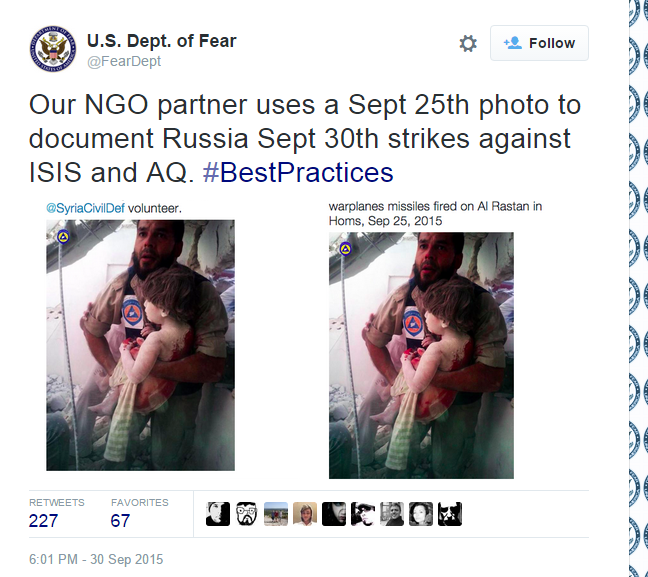 Human Rights Watch (HRW), Avaaz and the White Helmets. When we watch the videos, particularly the longer Live Leak version, it is hard to detect the women and children that are being described. The majority of protagonists appear to be male and of fighting age. There is no evidence of “civilian” life among the deserted buildings, the only movement is of males, some on foot, some on scooters and presumably some taking the time to film events even as the bombs are falling. Not the actions of terrified, innocent civilians. If we wish to speak of real civilian casualties, then perhaps we should turn the spotlight on the pre- existing Coalition bombing campaign. The civilian death rates from these strikes is rarely discussed and often concealed by the Pentagon and US/European associated analysts like the British-led ‘humanitarian’ organisation – the Syria Observatory for Human Right (SOHR). Avaaz did actually promote a petition for a No-Fly Zone back in March 2015 – a PR campaign which just happen to align perfectly with Washington plans for a No-Fly Zone for the purpose of dominating the skies over Syria in the same way it did in the NATO’s intentional destruction of the nation-state of Libya. In order to spare more innocent lives and preserve the secular nation-state of Syria, its citizens will need to a spanner placed in the spokes of this trendy ‘change’ propaganda vehicle that rides roughshod over their genuine needs with devastating consequences. Those needs are simple: stop the lying, stop fabricating and stop creating, funding, arming and incubating the terrorist cancer in Syria. 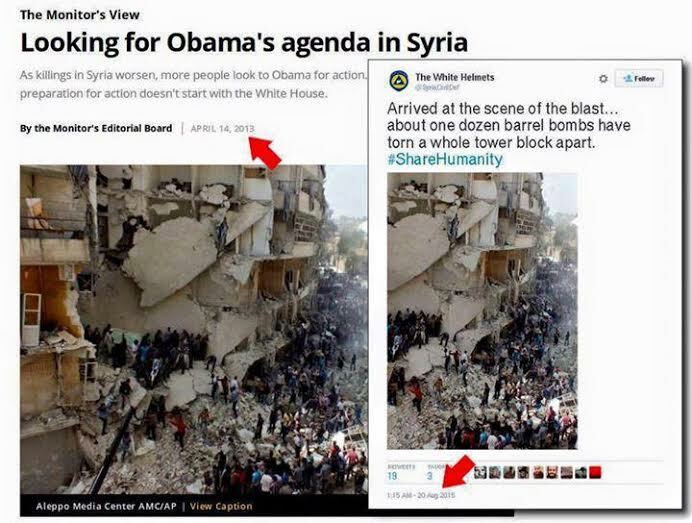 In September, we first introduced readers to the humanitarian interventionist, covert intelligence program and regime change PR operation known as the White Helmets, created by the Soros partnered, Svengali of PR giants, Purpose.com. The White Helmets with the debonair, Sandhurst-educated James Bond of humanitarianism at its helm, James Le Mesurier, a high-level British mercenary commander and trainer whose CV reads like a NATO itinerary, and whose high-level connections delve deep into the Empire’s underworld of international subterfuge, media manipulation and strategy cultivation. For so long they have enjoyed the fruits of their marketing campaign depicting them as selfless heroes, saviours of humanity, impartial protectors of kittens and Syrians in equal measure. Their self-styled image is that of unarmed, neutral, demi-saints climbing the “Mount Everest of war zones”. Unfortunately so many of their masks have slipped that they can no longer bask in their Purpose reflected glory. Yesterday like HRW before them they were exposed to be the fabricators and deceivers they really are. Anyone can make a mistake I hear you say, yes sure, one mistake is acceptable, 2 is questionable but a consistent conveyor belt of misleading, perception altering, “nudging” images ceases to be innocent and enters the realm of manipulation on a terrifying scale with horrifying ramifications for the people of Syria who so far, have resisted their country being plunged into the same abyss as Libya or Iraq. We can safely conclude that the US, Israel and their allies are furious that they have been out-manoeuvred and outsmarted by Russia and Syria, despite billions of dollars and countless man hours that have already spent by the US, UK and the NATO aligned allies – all the while in open violation of numerous international law and “norms”. The West’s initial No Fly Zone plans in Syria have been consistently thwarted and derailed. Russia has effectively demanded a No Fly Zone for the US-led coalition – which is the ultimate insult to US hegemony and self-proclaimed world police status. 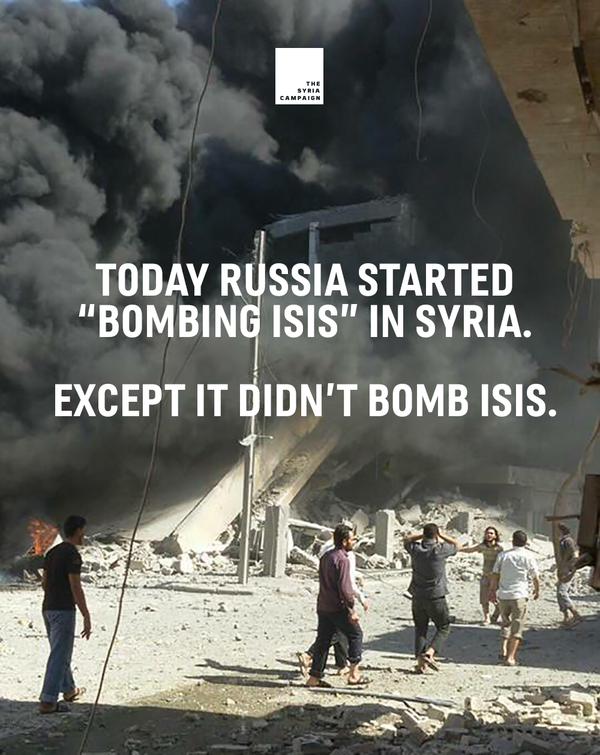 Russia, unlike the US, is targeting ISIS in all its distorted guises and nomenclature. It’s expected that Russian airstrikes will be more accurate and efficient than the US-led coalition for the simple fact that their targeting is based on actual ground intelligence from the Syrian Arab Army. And yes Mr Defence Secretary, Russia is bombing US supported “rebels” in Syria for the very simple reason that, in one way or another, ever since Washington DC had first started down the blood strewn road of regime change, the US has either equipped or funded every single extremist faction in Syria.